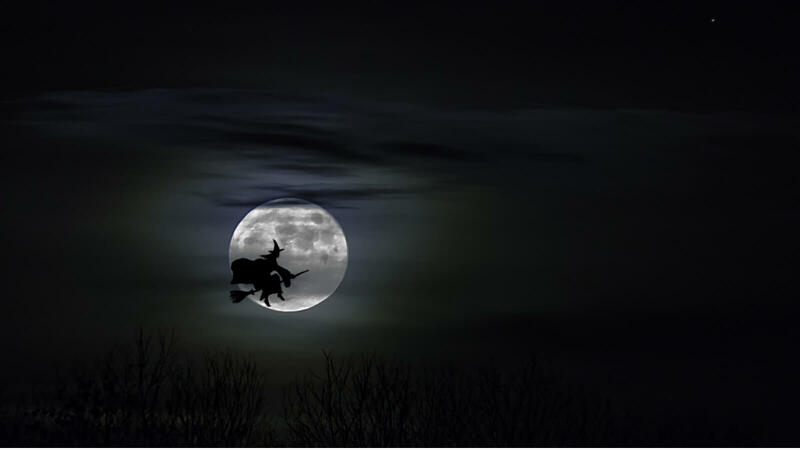 Even a Wicked Witch needs resume-writing help when flying to a new career. Would you rather be chased by flying monkeys than work on your professional resume? You're not alone! Crafting a polished-looking resume is not an easy job. Fortunately, there are professional writers available to help! To get into the Halloween spirit, we asked TopResume writer Lynda F. to help a wickedly talented client make the move from entrepreneur to corporate executive. 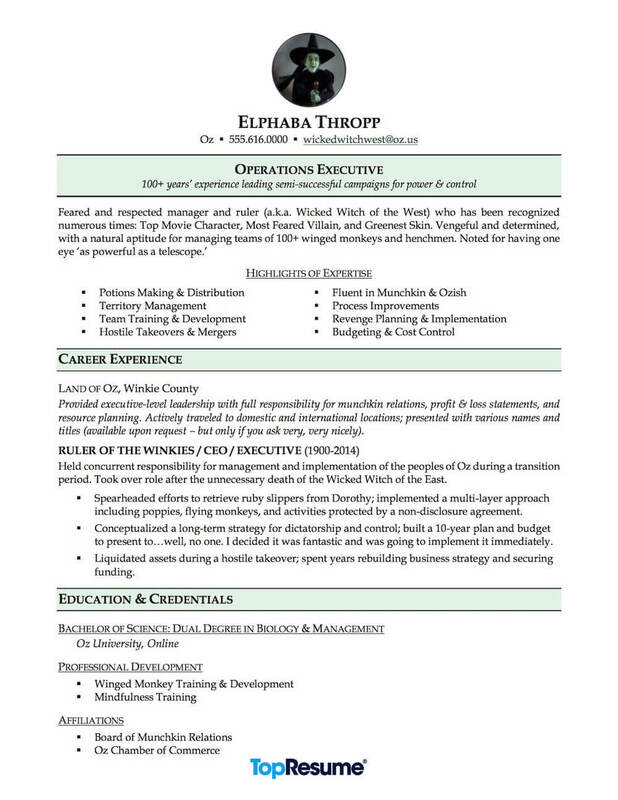 Learn more about how Lynda helped Ms. Thropp, and check out this witch’s new, professionally written resume below. Click on the following link for a look at all our nightmare resume makeovers. "Elphaba came to me after a short period of recuperation from a water-related injury. 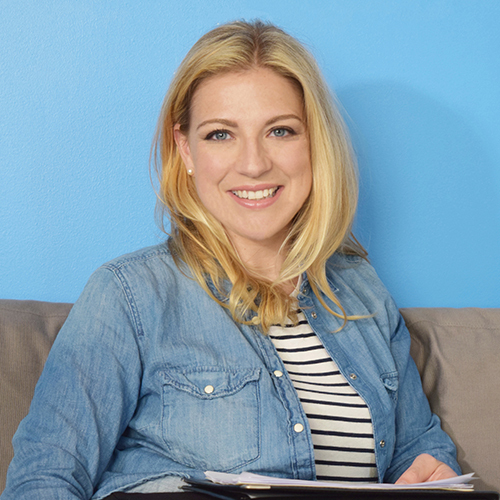 She wanted to target executive-level operations roles. As result, we emphasized her skills that would translate best in the corporate environment, such as her ability to remain calm during hostile takeovers, especially by young girls." Are you trying to reenter the corporate world? Take a cue from the Wicked Witch and translate your skills into terms your prospective employer will understand and appreciate. *Please note: We took some creative license while creating Elphaba's resume. TopResume does not recommend incorporating a headshot into resumes and suggests taking careful considering before deciding to add color into your resume’s design. Fly to this link for more resume advice. Is your resume looking a little green? Our TopResume professional resume writers can help polish it up!